The United States Sailboat Show annually attracts more than 50,000 boating enthusiasts worldwide. The in-water show is held on the Annapolis, Md., waterfront in October. 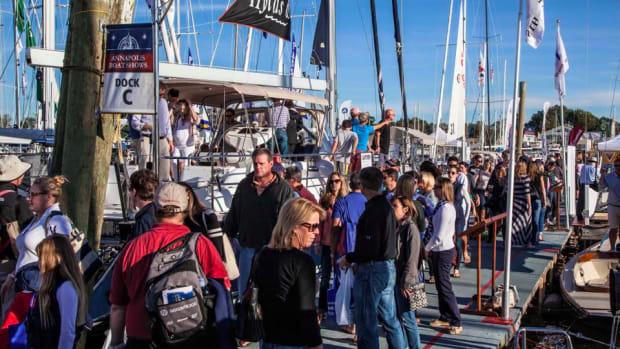 Attendance at the United States Sailboat Show, held Oct. 5-9 in Annapolis, increased 21 percent from last year. The United States Sailboat Show got underway Thursday with its VIP day and will run through Monday at the City Dock in Annapolis. The American Sailing Summit in Annapolis will be held from Oct. 5-12 at the Naval Academy Club at the U.S. Naval Academy. 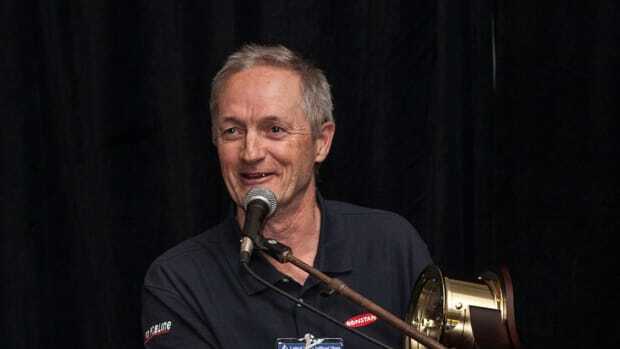 The nomination process for the 2017 Sailing Industry Distinguished Service Award opened July 12. Boating enthusiasts who want to learn the basics of sailing can do so at the United States Sailboat Show in October. 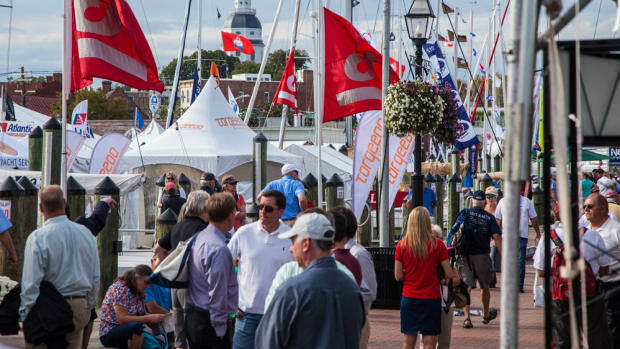 The Annapolis Spring Sailboat Show starts today and runs through Sunday at the City Dock in Annapolis, Md. The Annapolis Spring Sailboat Show will feature an April 27-30 Cruisers University. Organizers said the 47th annual United States Sailboat Show was opening on schedule today after Hurricane Matthew was forecast to miss the Mid-Atlantic states. The Annapolis Boat Shows put out a call today for nominations for the 2016 Sailing Industry Distinguished Service Award. The Annapolis Spring Sailboat Show saw a 19.7 percent increase in paid attendance during its April 22-24 run. 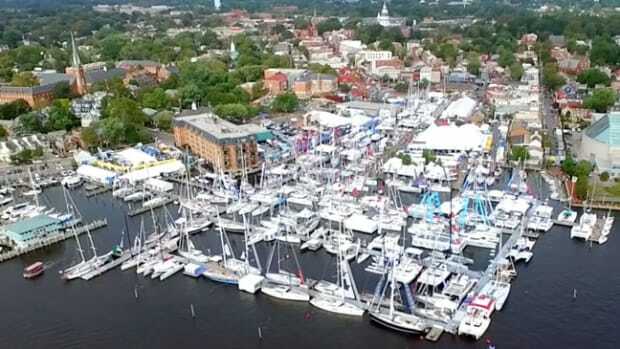 Sailboats are gathering in downtown Annapolis, Md., for the fifth annual Annapolis Spring Sailboat Show, which opens Friday and will continue through Sunday. 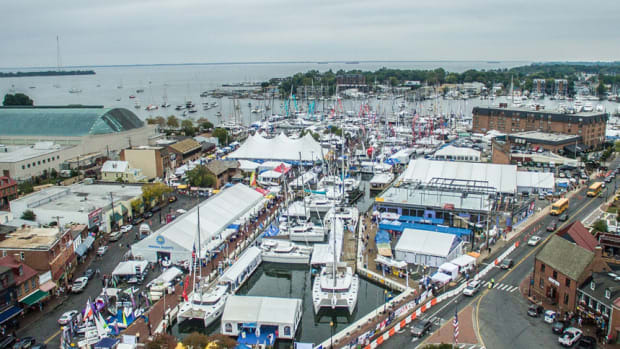 The Annapolis Sailboat Show, a key spring in-water sailboat show for the Chesapeake Bay area, will be held April 22-24 at City Dock in Annapolis, Md. Early indications of attendance figures suggest a 3.5 percent increase. Annapolis Boat Shows named John Arndt the winner of the 2015 Distinguished Service Award. The show is on schedule to start Thursday because weather forecasters have predicted that Hurricane Joaquin will stay far offshore. For the first time in its decades-long history, sailing lessons will be offered in October at the United States Sailboat Show in Annapolis, Md.